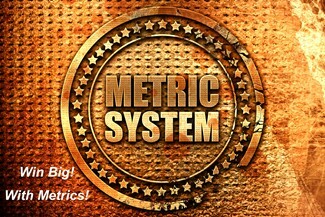 Metric Based Lottos Pay More | Lotto Central - Play For FREE! The Boys in the Lotto Lab are generally upbeat, active and charming. Recently though, the events of the past decade have been getting them down. They’ve been working hard to come up with a solution to cure their multi-year losing streak. In fact, they’ve been playing the Texas Lotto for tens of years now. According to their initial projections, they were confident they would hit a lotto jackpot at least once every 12 weeks. When they examined their “Lotto Win Board” they realized their winning frequency was a little less than that. They resolved to figure out where the metrics went wrong. They were sitting around the Lotto Lair having a few root beers focusing the full capacity of their Texas Lotto Brains on the mystery at hand. After copious quantities of root beer and playing their favorite computer game, Pong, several thousand times, they believe they’ve found the reason for their recent string of bad luck. Alert members of the Lotto Central Team will recall that in 1968 the United States Congress authorized a three-year study. Ultimately, this study recommended that we convert to the irrational metric system. Further, the US Congress laid out a 10-year plan to get the country from the rational to the ridiculous. They did not make the switch mandatory as most Americans referred to our system, the English System, as the “Correct” or “Real” system of measurements. To drive home the point, Texans kept a sharp watch for Congressman and kept their pitchforks close. According to the Congressional Budget Office, this conversion was to have resulted in an immediate boon to the economy. According to Congress, Texans would have derived unimaginable benefits and rewards because suddenly you, the Texas Lotto consumer, would have no idea how much you were paying for your lotto ticket. Under the current system, the Texas Lotto is sold in easily understood units of measurement called “Tickets.” Under the confusing metric system, you’d have to tell your Texas Lotto Retailer that you wanted ONLY the winning ticket. That’s what The Boys do now, so that’s not the hard part. FYI.. none of their lawsuits suing numerous Texas Lotto Retailers for misrepresenting the tickets they’ve purchased as “Winning” tickets has made it to court. The Boys remain optimistic. There’s a retailer in Nacogdoches who says he wants to settle. Anyway, under the metric system, the retailer would ask how many tickets you wanted. A hectare of tickets? A kilometer of tickets? A millimeter of tickets? He would then demand that you figure it out quickly because his break begins in 5 liters. You’d get all confused and buy enough lotto tickets to fill the trunk of your Lotto Mobile and then not have enough gas to get back to the Lotto Lair. I’ve seen it happen under the current system. The metric system would only make it worse. Bad news for The Boys. Great news for the Texas economy. Think of it, tens of thousands of Texans each buying a hectare of tickets just before each lotto drawing. Job growth would explode, highway signs could be replaced with metric versions, the birds would sing, and the sun would shine throughout The Great State of Texas. Texans displayed their enthusiasm for the change by purchasing shotguns and blasting the metric signs. So, the velociraptor metric system didn’t really catch on unless you count thousands of well-armed Texans learning how to defend themselves by firing ten 12 gage shotgun shells in 10 seconds directly into ten velociraptor signs as a metric success. All of this would be irrelevant to The Boys, but they recently surmised that this failed effort to convert to metrics may have cost them 50 to 60 Texas Lotto Jackpots since 1968. In fact, they’re sure of it. They’ve recently communicated with both Canadian and Mexican Lotto Professionals. As you may know, both Canada and Mexico are on the Metric System. To a man, these international lotto professionals agreed that our so-called “Correct” system is stupid, preposterous and nonsensical. They insisted that we convert to metrics immediately so we wouldn’t continue to be the laughing stock of North America. The Boys could not countenance being any more of a laughing stock than they already are, so they set to work to make the case that the metric lotto system be adopted in Texas. The first and foremost reason The Boys insist that the Texas Lotto convert to the metric system was that it would GREATLY increase their chances of winning. They reasoned they could more easily win a metric based lotto rather than an English based lotto as there are fewer numbers in the metric system than are present in the current system. It’s lotto 101, the fewer numbers in play, the more jackpots today! Readers, please note, The Boys only analyzed the Canadian Metric System. Results may be slightly different under the Mexican Metric System. This simple chart illustrates the advantage of playing a “Metric Lotto” using Canadian numbers. Please Study this comprehensive chart thoroughly. Irrefutable logic is where The Boys shine. As you can see, depending on the precision level and the lotto game selected, player’s odds of hitting the jackpot improve from anywhere between 2 and 2,000 times. To reap this inevitable windfall, the Texas Lottery Commission must change to a Canadian and/or Mexican Metric Lotto System. What are they waiting for?!?!?!?! 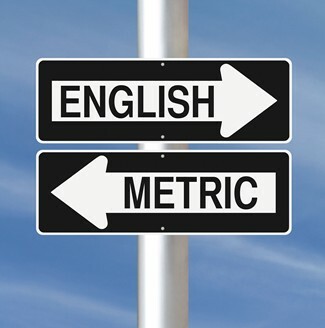 By converting Lotto Texas to the metric system, you would have fewer numbers than currently used in the English System. This means more Jackpots for Lotto Central, more money to entice Lotto Lovelies and less raucous laughter when The Boys make a burrito run just before skinny dipping in their secret swimming hole. The Boys intend to present their findings to The Texas Lotto Commission by weeks end.